The University College Cork in Ireland, holds a Parkinson’s Community meeting and exhibition where the Move4Parkinson’s choir from Dublin and the Kilkenny Voices of Hope choir will give uplifting performances. The first cooking guide for patients with chewing and swallowing problems and odour and taste loss launches in front of the royal couple of Belgium, taking place at the royal gala dinner of the King Baudouin Foundation, in the Vooruit concert hall in Ghent, Belgium. The Parkinson SuperWalk takes place across 115 communities throughout Canada. Last year the fundraiser raised $2.9 million and since 1990, the initiative has raised more than $31 million for support services, research, advocacy and education. The Flexxaire Parkinson Step ‘n Stride charity walk run by Parkinson Alberta invites over a thousand people from nine provinces in Canada to join their 2015 event. The walk will raise money to support Albertans families living with Parkinson’s disease through advocacy, education, client services and research funding. 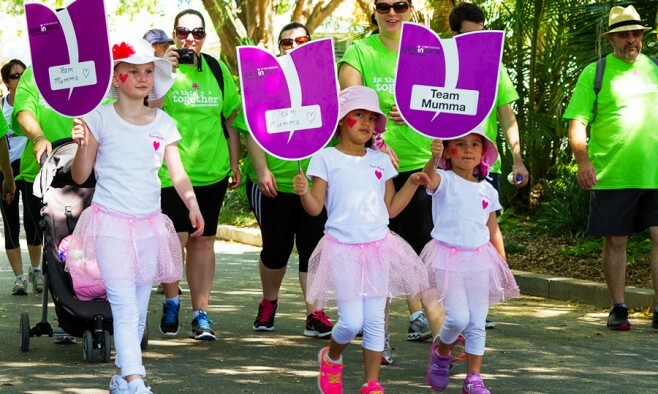 Thousands of people with Parkinson’s and their friends and families are coming together in Brisbane, Australia, for the ‘A Walk in the Park’ event in support of Parkinson’s Australia. The third edition of the Ray Kennedy Cup – an international football tournament for people with Parkinson’s – takes place in Copenhagen, Denmark. Teams from across Europe will travel to battle it out in the 7-a-side competition, promoting exercise as a healthy form of combatting the disease. Join Brix Tavern for the Grant’s Army Golf Tournament at Rock Creek Country Club in Portland, Oregon, USA. The day includes a round of 18 holes, a golf cart, food, raffles and prizes. The third annual Gabriel Pigotti Memorial Golf Tournament at Rainier Golf & Country Club aims to raise $100,000 for the Brian Grant Foundation, the charity of the former NBA star who was diagnosed with Parkinson’s. The 2015 HOPE Conference will offer information on medications, treatments, diet, mindfulness, end of life issues and movement for patients and their families. The conference features internationally renowned speakers Tom Isaacs, Daniel Weintraub and Jon Palfreman, and will be able to be streamed live for the first time. A campaigner attempts to ride 24 consecutive hours from Toronto to Ottawa in support of the Michael J Fox Foundation, in memory of his grandfather who had the disease and his grandmother who was his carer.